Sergeant Nicholas Angel (Simon Pegg) is a badass cop who’s making everyone else on the force in London look bad. What’s the solution? Send him to a small, cozy community where no serious crime ever (and I mean EVER) happens. But things are often not what they seem. In this action comedy, you’ll be laughing until your face hurts. As Nicholas arrives in a town named Sanford Gloucestershire, his first night is anything but relaxing. He finds things wrong with the community the minute he sets foot in it. From underage drinkers to people performing public indecency, this “by the book” cop is arresting every offender he can find. He meets up with his partner, Danny Butterman (Nick Frost) who has made it a habit to sit in a cop car, and eat ice cream, because of the lack of crime. Their most important task is chasing after the town swan. It isn’t until townspeople start dropping like flies that Sergeant Angel’s suspicions are peaked. He, along with Danny, are on the case. In the seemingly picture perfect town of Sanford Gloucestershire, things get fishy! 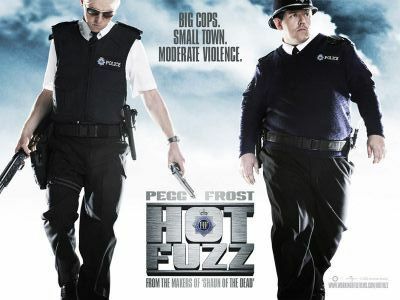 I recommend this movie to all Simon Pegg and Nick Frost fans; but anyone who loves a good laugh will enjoy it. Hot Fuzz has humor, action, and heart. In this “bromance,” you’ll see Simon Pegg play a strict cop who needs to loosen up and Nick Frost as exactly what Angel needs to learn how to relax (and how to love). The two bond over a few pints and the calling to work for the true “greater good.” This movie has become one of my favorites and I’m sure it will be one of yours, too–at least, once you get over the extremely thick Sanford Gloucestershire accents. 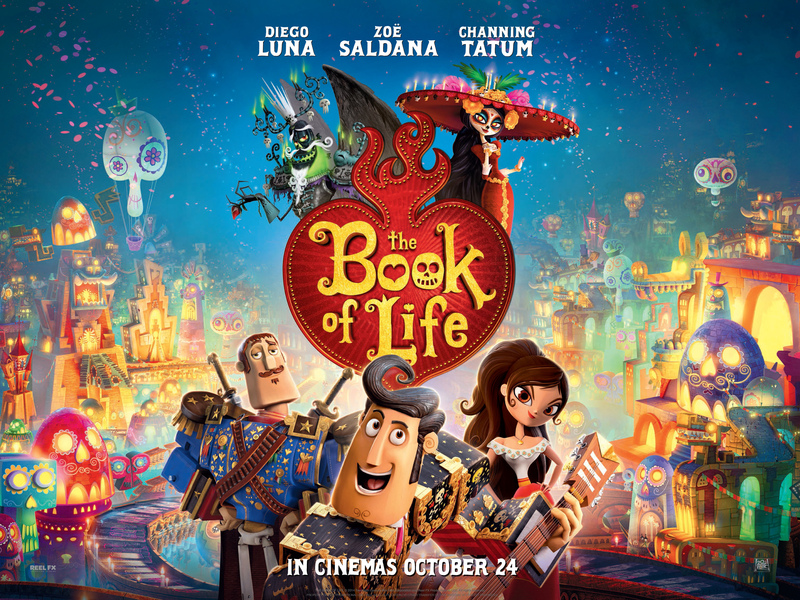 Not many mainstream animated movies are about Mexican culture, but this is what “The Book of Life” is all about. Not only does this fun-loving movie involve the Mexican holiday Dia de Los Muertos, it sends a great universal message to children and adults. The director and co-writer Jorge R. Guiterrez and produced Guillermo Del Toro have really outdone themselves. The movie starts off with a group of rambunctious children going on a field trip to a museum. The tour guide takes the children to a secret place hidden in the museum. The room is filled with treasures, ancient findings, and at the end of the is a book. The tour guide refers to the book as “The Book of Life,” which contains every story in the world. She then opens it and begins to tell the story of a city in Mexico called San Angel. The story takes place on Dia de Los Muertos, which means, the Day of the Dead. On this day, family members go to the cemetery to celebrate the existence of their loved ones who passed away. Two spirits are present for this day and walk around the villagers unnoticed. La Muerte (Kate del Castillo) is the ruler of the Land of the Remembered, while the other spirit, Xibalba (Ron Perlman) is the ruler of the Land of the Forgotten. As they walk around, Xibalba pesters La Muerte about switching realms. She refuses, then finally agrees to the wager having to do with three young children. A girl named María (Zoe Saldana) is independent and confident within herself. The other two are Manolo (Diego Luna) and Joaquin (Channing Tatum), both in love with María. The wager is, which boy will win the heart of the girl. 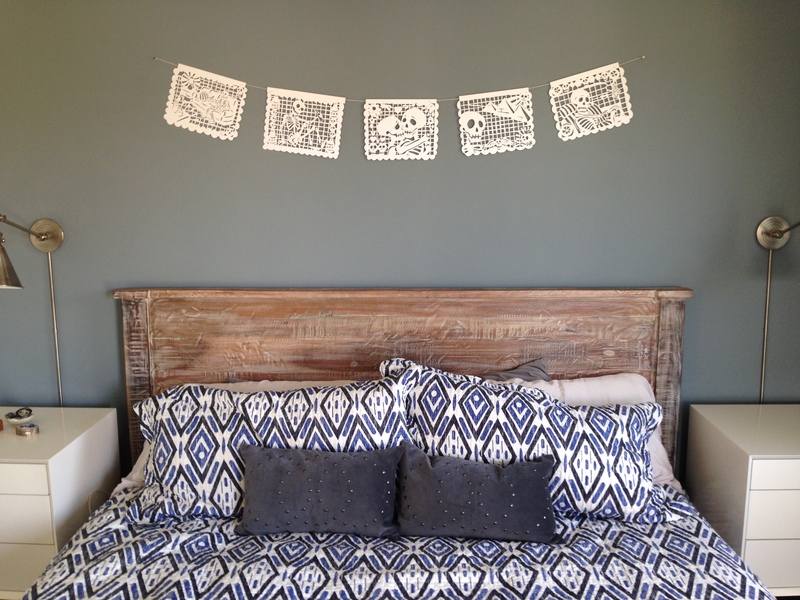 Xibalba chooses show-off Joaquin, while La Muerte chooses kind-hearted, soft-spoken Manolo. Who will win? The style of the movie is Dia de Los Muertos created with CG effects. There’s so much color and life within the movie. The character design and environment are incredibly detailed and layered, especially in the Land of the Remembered. I recommend this movie to kids, adults, and anyone who appreciates great storytelling, because of the important message behind the movie itself. People may change, but your close friends and familia will always be there for you. Always follow your heart and you will never fail.